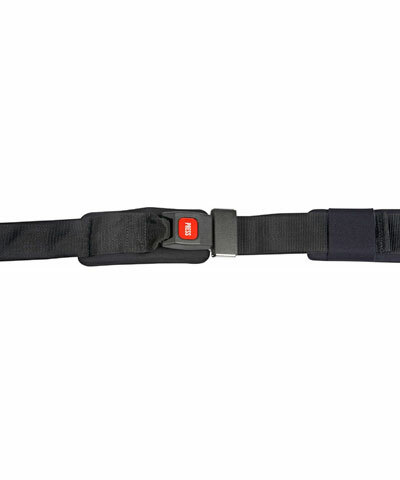 This accessory is a two piece positioning belt, 1" webbing, two padded modules (foam covered with Neoprene mounted on each belt providing for protection of both ASIS´s ) and an auto style buckle closure. Tri-Glides are woven on the belts for tension adjustability. At the ends of the belts are easy to install belt anchors. This will benefit the client who needs a 45 degree pelvic positioning belt that, due to significant tension or poor skin integrity, needs the pressure protection of the padded modules.